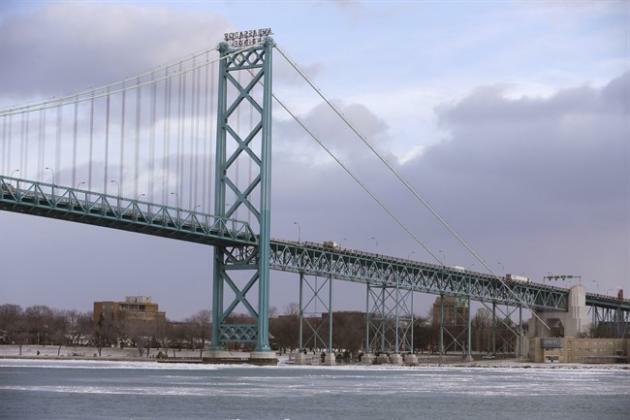 Canada has agreed to pay the entire cost to build a U.S. Customs plaza adjacent to the planned Detroit-Windsor bridge, Transport Minister Lisa Raitt announced in the House of Commons. The federal government was already planning to pay for 95 per cent of the bridge, which will cost $2.1-billion and is expected to open in 2020. The estimated price tag of the plaza is $250 million, but Raitt said Canada will recoup the cost through bridge tolls. The U.S. will pay for workers, operations and maintenance of the plaza in Detroit. "This arrangement is good for Canada and for Canadians. It ensures that all the elements of the project will ultimately be delivered through a public-private partnership. It also allows Canada and Michigan to move the project forward immediately to its next steps which include further design work and property acquisition on the U.S. side of the border," Raitt said in a statement issued after she spoke in the Commons. “We were not going to let financial consideration get in the way of construction of this bridge,” Raitt said. "The cost of the U.S. Port of Entry will be repaid from future toll revenues and not by Canadian taxpayers," the minister said. U.S. never committed to plaza. Earlier this year, U.S. President Barack Obama tabled a budget that again did not include funding for the U.S. inspections plaza. Last year, Ottawa dedicated $630 million for property acquisitions in Detroit and preparatory construction work for the structure. According to the U.S. Department of Homeland Security, the initial agreement between the State of Michigan and Canada stated that in the event that U.S. Federal funds for the U.S. plaza were not available, the Canadian public private partnership would step in and pay.